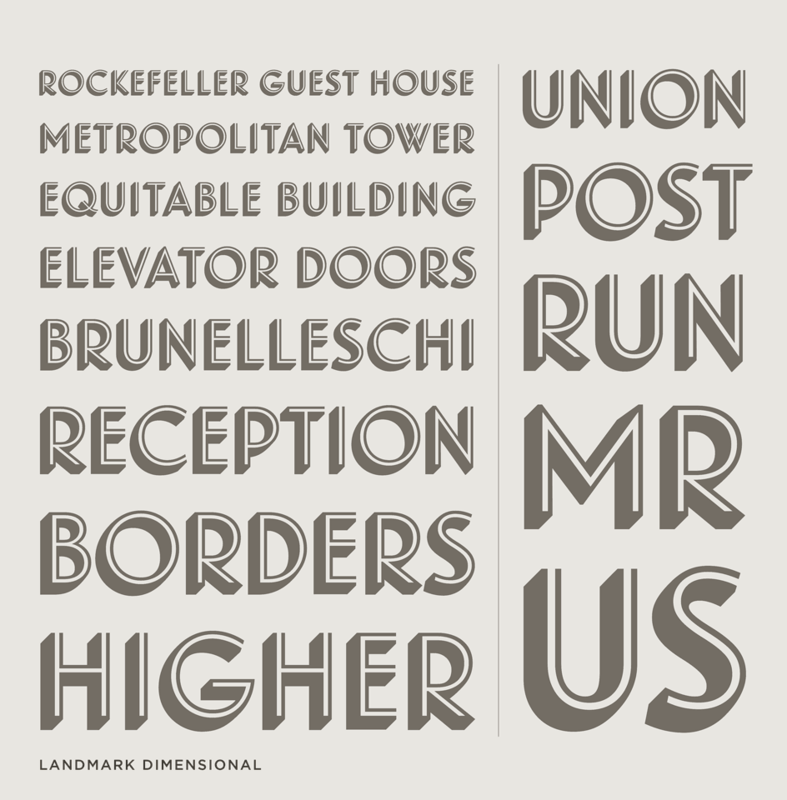 Landmark Font Features: Four Styles | Hoefler & Co.
A theme and variations in four parts. Inspired by the material qualities of architectural lettering, Landmark includes a keen inline, a contemplative shadow, and a dazzling dimensional. 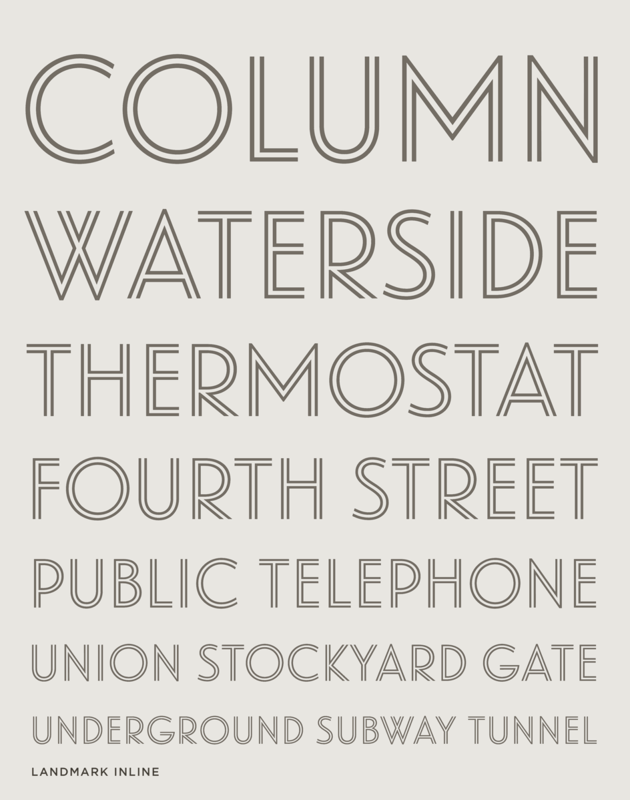 Rooted in the lettering on New York’s Lever House, the spare and manifest geometry of the Landmark typeface is High Modernism at its finest. Its high- and low-waisted forms are shaped with clarity in mind, which together with its policy of modulated widths creates a typeface that’s welcoming and rewarding to read, even in extended settings. Tension between light and dark brings the Landmark Inline typeface to life, its assertive highlights evoking the bright vertical spandrels that line Lever House’s dark glass exterior. The typeface is highly responsive to letterspacing: tight tracking gives it a boisterous neon hum, and open tracking lends it a majestic, imperial air. 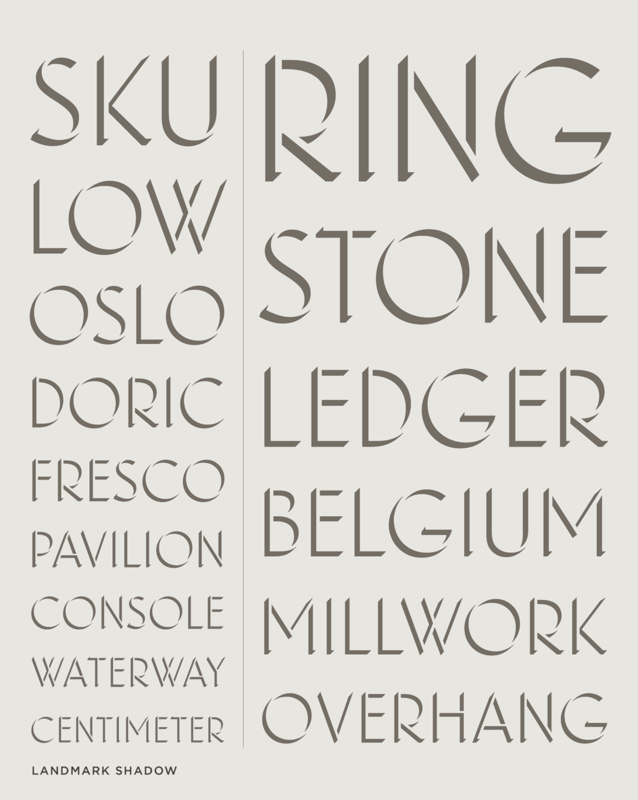 Landmark Shadow was inspired by the raised lettering on the building’s Park Avenue facade. Mounted on a plate glass window at street level, its brushed steel surface is easily lost among the reflections of neighboring buildings, but the distinct contours of its shaded sides convey enough clarity to ensure readability at a distance. 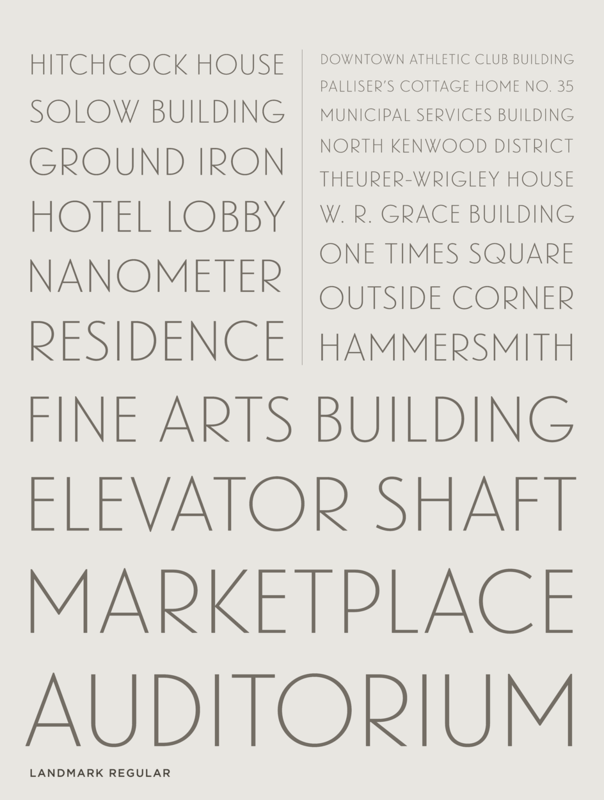 Landmark Shadow is quieter than most decorated typefaces, and performs unexpectedly well at small sizes. Countless subtle alterations give the design its even color, and its eminently legible forms. Steep sides supporting an unmistakable top provide Landmark Dimensional with elevation in the most literal sense. Its combination of thick, thin, and white strokes give the typeface a vibrant color, a bright and cheerful disposition that ranges from quietly optimistic to downright celebratory.